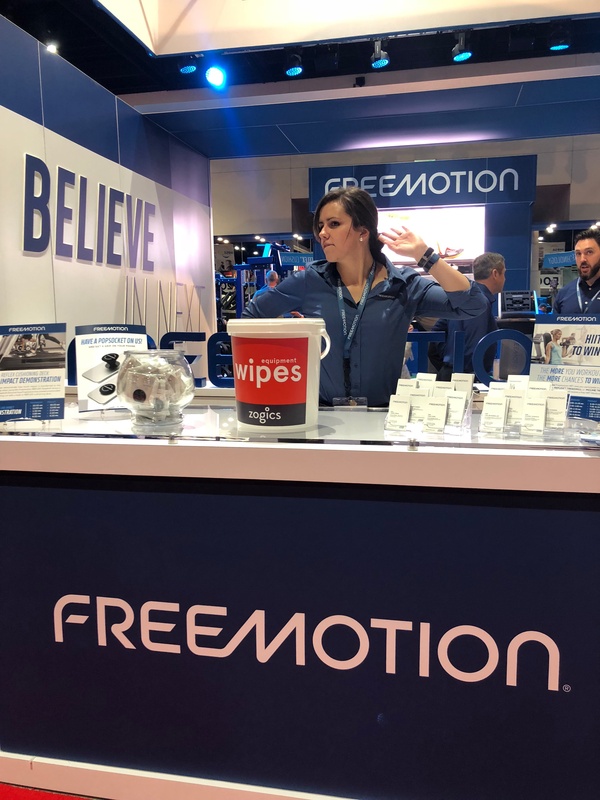 This year, our team at Zogics was in attendance once again at the annual IHRSA Tradeshow — arguably one of our favorite fitness industry events! We made new friends, learned a lot from the trainings, and enjoyed the great vibe and views of San Diego, CA! 1. Our Zogics wipe buckets were everywhere, ready to disinfect and sanitize. 2. We found one of our favorite customers (they're a little camera shy)! 3. 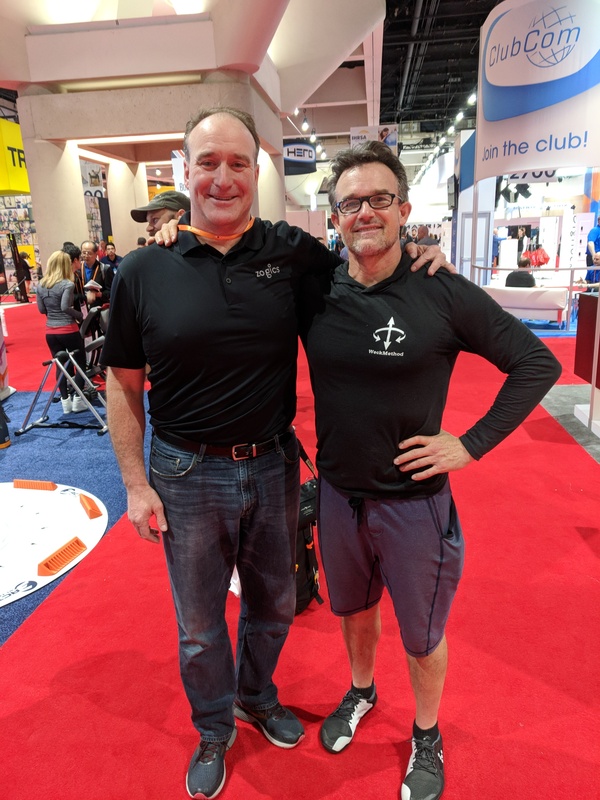 We got to catch up with one of our vendors, David Weck from Weckmethod (creator of the Bosu and RMT Club). 4. Introducing all-new kettlebells from Zogics' vendor, SKLZ. 5. 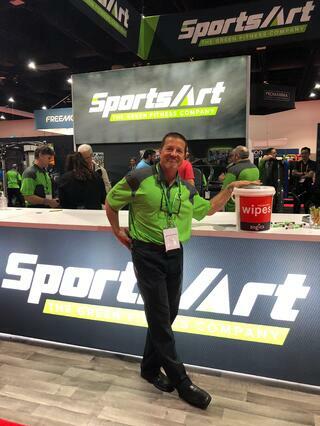 We love getting to see new products in action at IHRSA! 6. We can't wait to get our hands on the Theragun! 7. Who says running on the treadmill has to be boring? 8. So many awesome new products at the IHRSA tradeshow! 9. There's nothing like a little cardio to get the day going. 10. 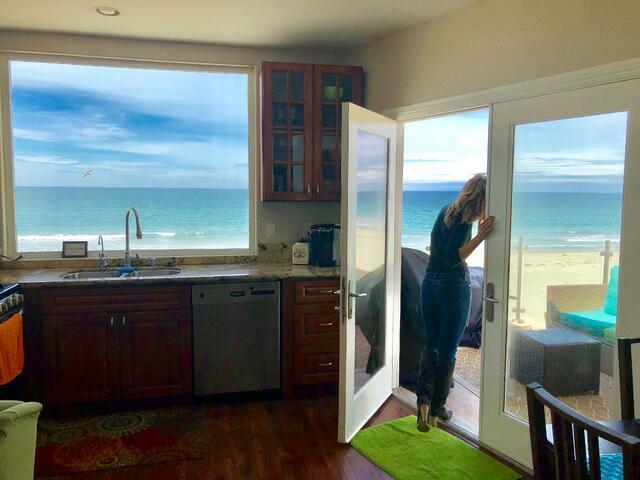 Our temporary home: did we mention the view in San Diego?